Karen and Clay met in 2004 while studying abroad in Shanghai. The spark between them didn’t flare until 2012, when they started dating, with Karen living in San Francisco and Clay in Los Angeles. But the distance soon became too long. In 2014, Clay moved down to LA and on Christmas Day, he proposed to Karen. On May 13, 2017, the two finally became husband and wife. 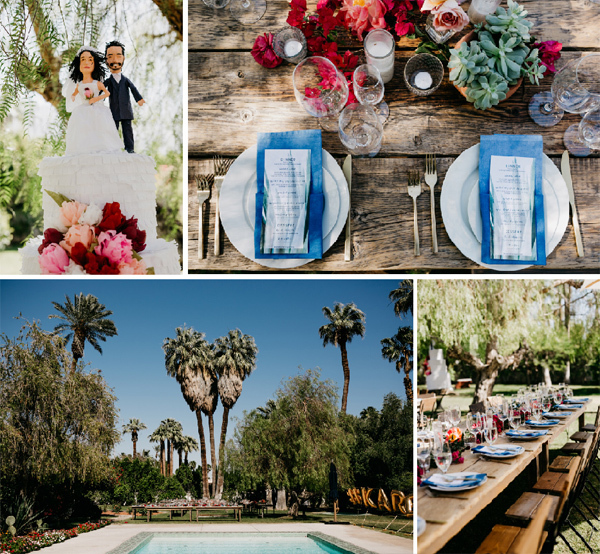 La Chureya Estate in Palm Springs hosted the welcome party, ceremony and reception. 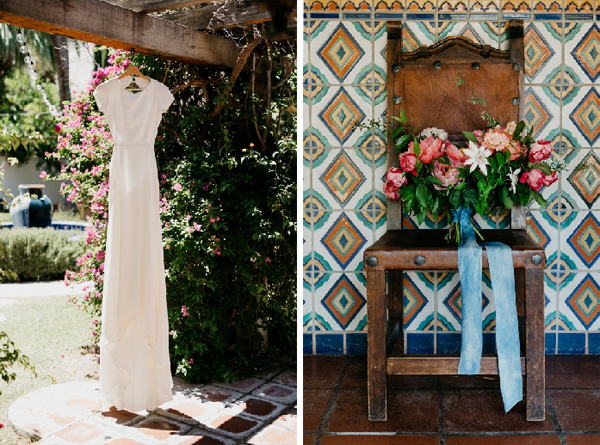 Getting married at a private estate was in tune with Karen and Clay’s vision for their big day. 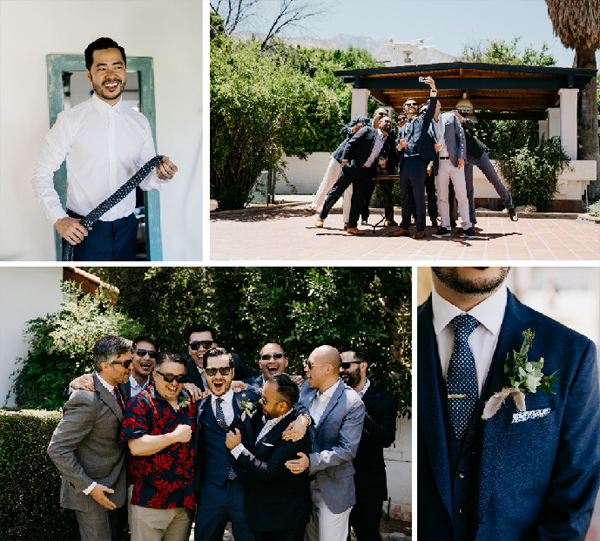 The couple wanted to forgo tradition with a small non-religious wedding where DIY was the name of the game. Clay designed the canopy for the ceremony and Karen came up with the vision for the table numbers and napkins. 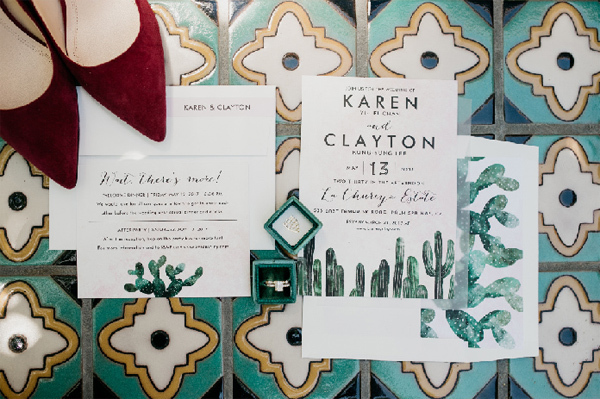 Karen’s job as a food blogger inspired the rich banquets at the couple’s wedding. The couple made food a priority of their wedding. A raw bar with oysters and local tuna poke and white fish ceviche echoed memories of one of Karen and Clay’s first dates shucking oysters in Tomales Bay. 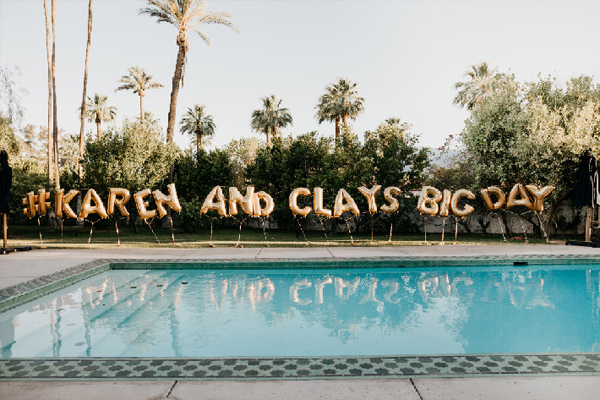 The true highlight of Karen and Clay’s wedding was a piñata cake. 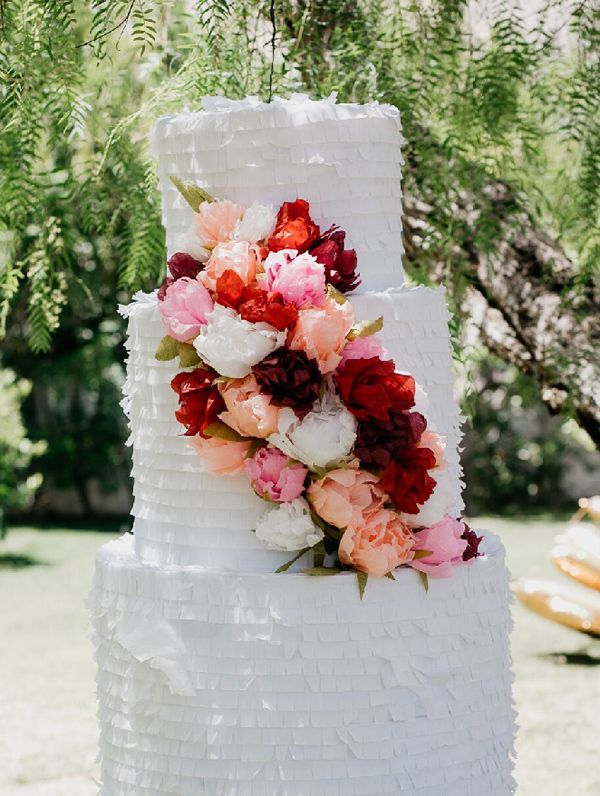 Faithful to their pledge to rebel against the wedding norm, the couple ditched the cake in favor of a piñata shaped like a traditional wedding cake. Two props looking like Karen and Clay on top of the piñata brought smiles to everyone’s faces. Karen and Clay took turns striking the piñata. When it broke, all sorts of treats and party gifts let free: Mexican bubbles, LED sunglasses, sparklers and party poppers.